Worldpay is a major payment processing company that processes over 31 million credit card transactions per day. Based in the UK, they hire many work from home employees in the United States for a variety of positions. Current openings include Customer Service Reps, Sales Reps, National Sales Executives, Business Development, and other positions. Click here to see a full list of their available positions. Look for those marked as “Work at Home” in the Location column. 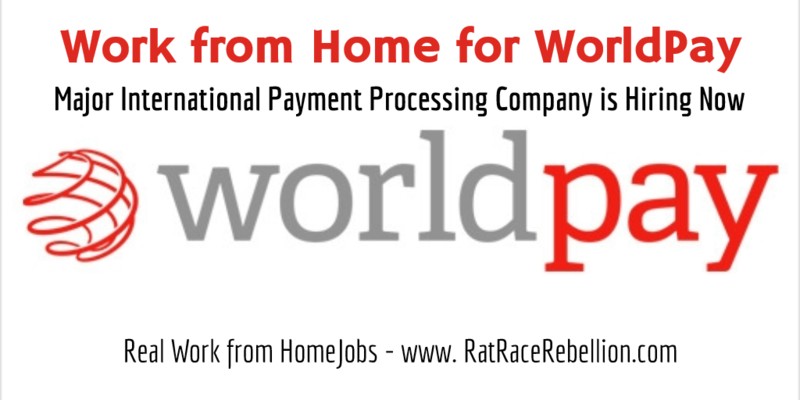 This entry was posted in Hiring Companies, Work at Home Jobs and tagged WorldPay. Bookmark the permalink.